Originally developed to celebrate the trade relations the Weyerhaeuser Company had with Pacific Rim countries, the Pacific Bonsai Museum is a hidden treasure on the grounds of Weyerhaeuser in Federal Way. Recently the Museum has branched off of the conglomerate and has become an independent, non-profit organization. The Museum’s Curator, Dave De Groot, cultivated his interest in bonsai by joining a small club many years ago and eventually developed his hobby into a passion. 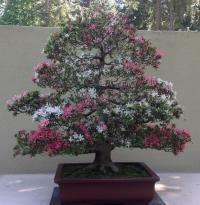 After studying with masters in Japan, De Groot has cultivated an eye for museum-quality bonsai. The first lesson he imparted on me was the pronunciation of the art form: “Bone-sigh”. I have always loved bonsai, but did not understand it as an artistic medium until viewing this collection. 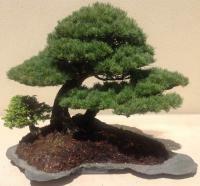 Quality bonsai, unlike the miniature tree that I have planted in a Japanese container, have been cultivated, like any other form of art, to possess proportion, balance, and harmony. The scene should tell a story, the branches and leaves should be shaped so that they harmonize with themselves, and the viewer should be able to imagine themselves within the scene. 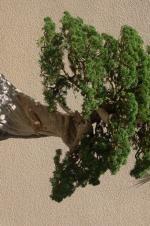 The most impactful lesson from De Groot was how the bonsai should give the impression of age, of longevity, and the trunk, more admired the thicker and gnarled it is, should tell the story of the struggles suffered by the miniature tree. It should give the impression of massiveness in miniature. This display of impressive bonsai really is on par with art museums worldwide. And the value of bonsai, as well, follows suit. De Groot relayed that in Japan, quality bonsai sell for hundreds of thousands of dollars, and those wealthy enough to possess one must in addition hire a boarder to house and take care of the live art. 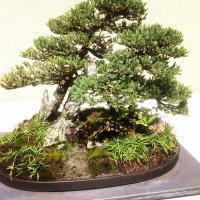 In the United States, bonsai art typically sells for between two and thirty thousand dollars. Currently the admission is free to the Pacific Bonsai Museum. I recommend a guided tour because the background information of the exhibits is compelling beyond the artistic display. Many of the bonsai on display are worth thousands of dollars and some trees, prior to their cultivation into bonsai, are as old as 900 years.